All proceeds from this year's Alex City Quiz will go to St Christopher's Hospice. This splendid organisation provides skilled and compassionate palliative care of the highest quality across five South London boroughs. 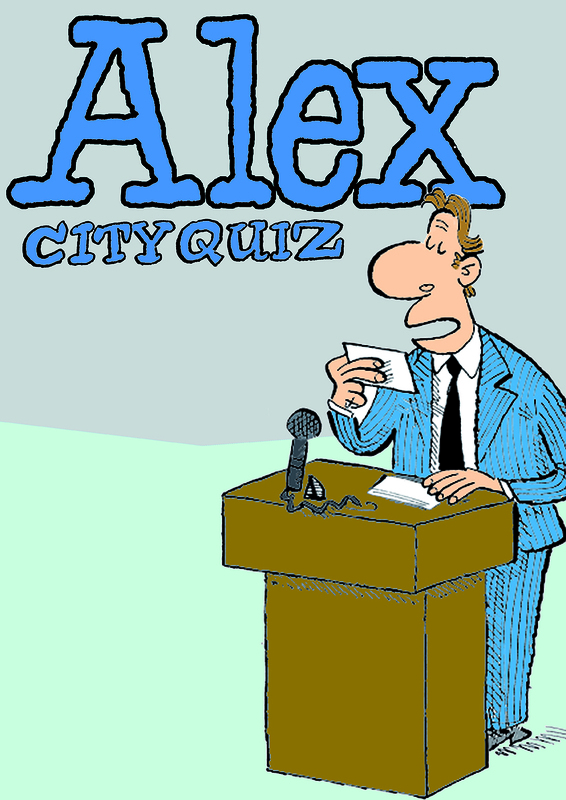 The Alex City Quiz 2019 takes place on May 22nd at Conway Hall in Bloomsbury, hosted by Alex co-creator Russell Taylor and journalist and writer Marcus Berkmann. Tickets for this annual festivity of blagging, bragging, scheming and showboating are still available. Regular readers will know that Alex went on a business trip to Hong Kong in early April (coincidentally at the same time as the rugby Sevens were being played out there). The original artwork of the cartoon from 3rd April was auctioned at a charity dinner in Hong Kong to raise money for motor neurone disease. It went for HK$160,000 (GB£15,500 / US$20,000) setting a new record for an Alex cartoon at auction. You can relive the excitement of this historic moment here. 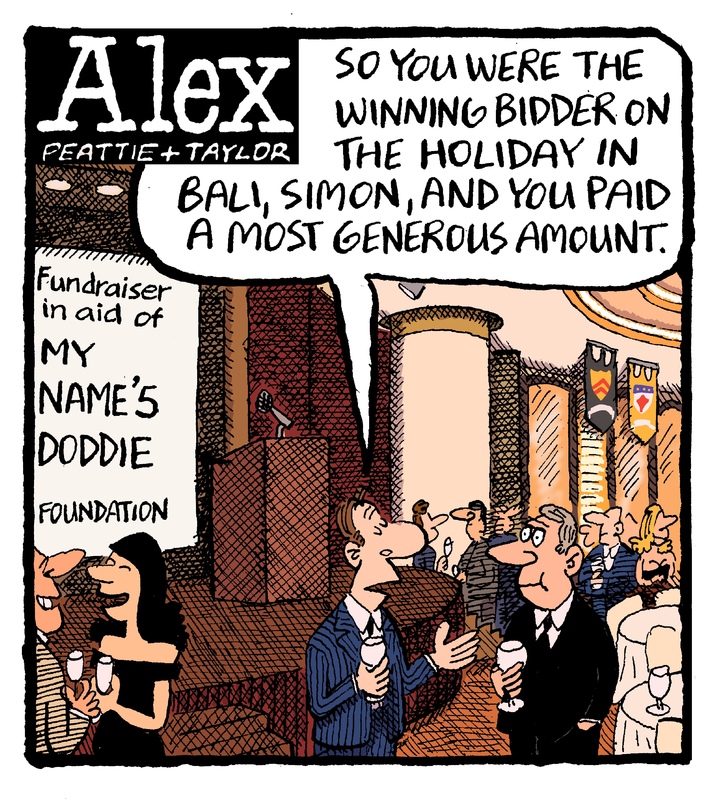 Another attendee at the dinner was apparently inspired by Alex's endorsement of this worthy cause to make a personal pledge of US$50,000 to the charity - the “My Name'5 Doddie” foundation. 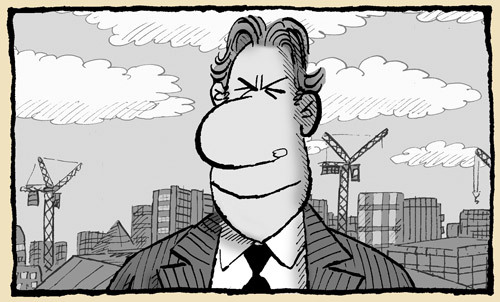 Who says bankers can't be a force for good? 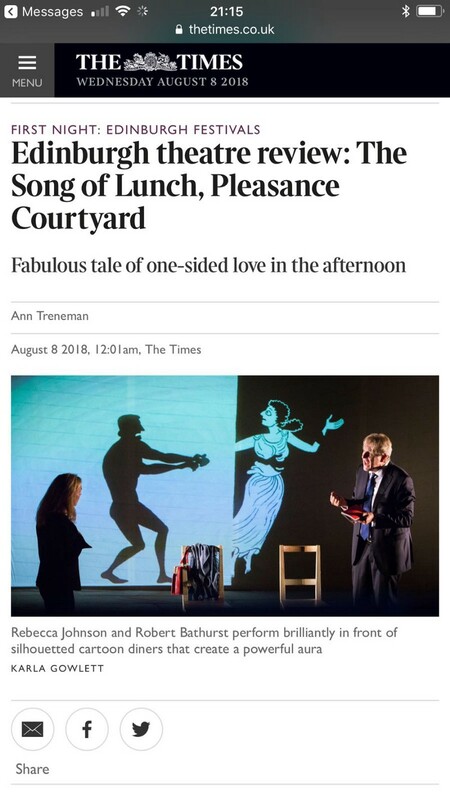 The Song of Lunch at the Edinburgh Festival, starring Robert Bathurst (who played Alex in the 2007 stage show) and featuring animation by Alex's own Charles Peattie. A 5* review from the Times. 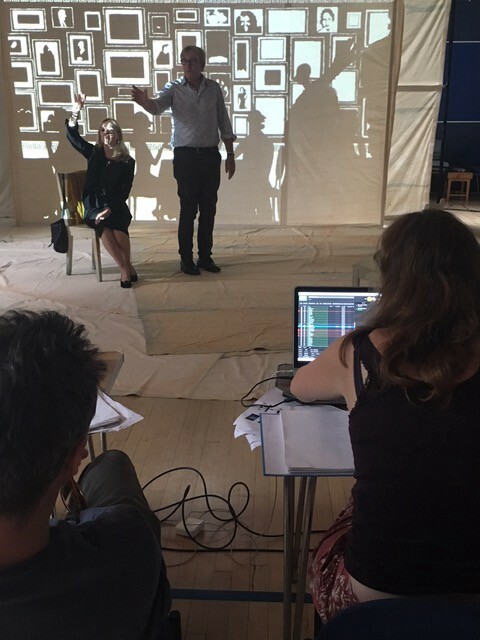 Robert Bathurst and Rebecca Johnson this week in a church hall somewhere in Pimlico doing tech rehearsals for the Edinburgh run of The Song Of Lunch by Christopher Reid, featuring projected scenery, animated walk-on parts, fantasy sequences etc drawn by Charles Peattie. It’s on at The Pleasance, Charles will be in attendance for some of it, so pop in and say hello.